Chef Michael Blackie of Ottawa and Chef Francois Gagnon of Montréal share top honours in People’s Choice balloting for the most popular tasting dish at the Cooks & Curds Gala last weekend at the second annual Great Canadian Cheese Festival. Chef Katie Hayes of Newfoundland is runner-up. 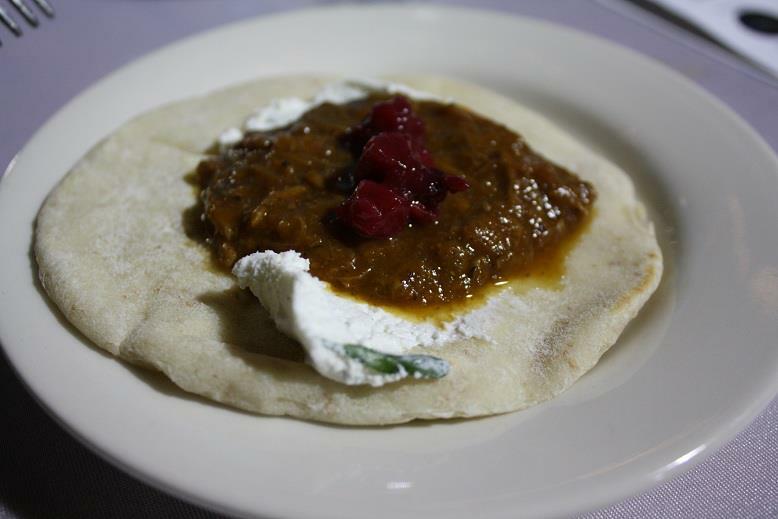 The runner-up dish by Chef Katie Hayes was Bonavista Goat Curry with Coriander-Whipped Fresh Chèvre, Partridgeberry Chutney on Wood-Fired Oven Pita. The Chèvre was made by Monforte Dairy. The dish was paired with Lacey Estates Vineyard & Winery 2012 Gewurztraminer. 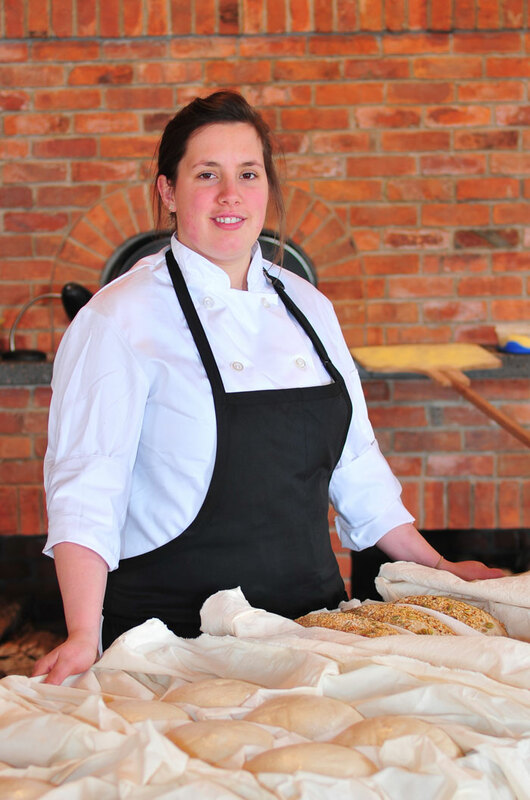 Chef Katie Hayes, Bonavista Social Club, Upper Amherst Cove, Bonavista Peninsula, Newfoundland. 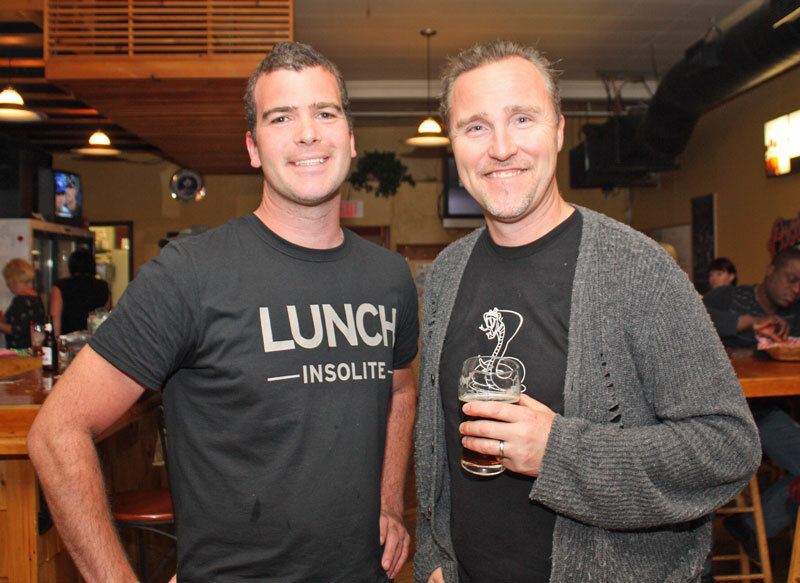 Chefs Francois Gagnon and Michael Blackie. The winners were among the eight tasting dishes prepared by eight outstanding chefs from across Canada for the Cooks & Curds Gala at the 2012 Great Canadian Cheese Festival on Saturday evening. The Gala is the culinary and social highlight of the Cheese Festival, attracting some 400 guests.. 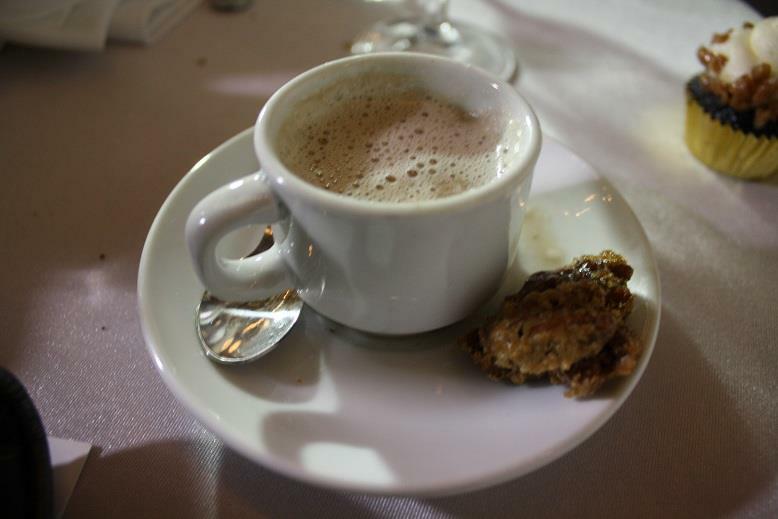 In the desert lounge following the strolling dinner, Food Network celebrity chef Bob Blumer made a guest appearance to prepare his signature blue-cheese cappuccino made with Alpindon from Kootenay Alpine Cheese and Devil’s Rock Creamy Blue from Thornloe Cheese. Ivy Knight, editor-in-chief of Swallow, the new online food and drink magazine, served as Gala Co-ordinator. Photos of four dishes courtesy of Yvonne T of The Hungry Cat. Photo of chefs courtesy of Ivy Knight of Swallow. Chef Katie Hayes Katie of Upper Amherst Cove, Newfoundland. One of eight tasting dishes prepared by eight outstanding chefs from across Canada for the Cooks & Curds Gala at the 2012 Great Canadian Cheese Festival on Saturday evening, June 2, presented by Swallow. The Gala is the culinary and social highlight of the Cheese Festival. The first sitting at 6:00 p.m. has SOLD OUT. Second sitting at 7:00 p.m. now on sale. Don’t delay ordering your tickets! Chefs use Canadian cheeses to create mouth-watering tasting dishes that are paired with Canadian wine, craft beer and cider. The strolling dinner concludes with an after-dinner cheese board presented by Dairy Farmers of Canada, sweets and wine. Food Network celebrity chef Bob Blumer will make a guest appearance to prepare his signature blue-cheese cappucino made with Alpindon from Kootenay Alpine Cheese and Devil’s Rock Creamy Blue from Thornloe Cheese. Ivy Knight, editor-in-chief of Swallow, the new online food and drink magazine, serves as Gala Co-ordinator. Chef Jimmy Stewart of Whistler, British Columbia. Chef Jamie Kennedy serves Braised Oxtail Poutine with two Black River cheddars at the Cooks & Curds Gala at the inaugural Great Canadian Cheese Festival in 2011. 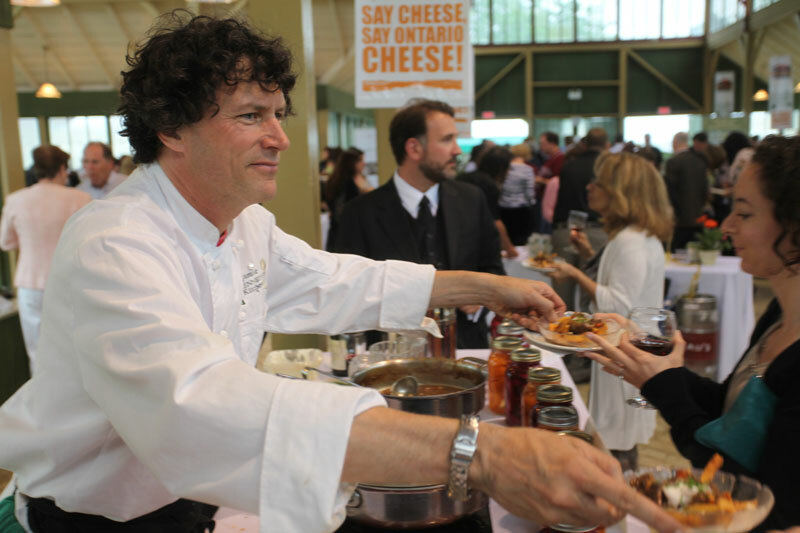 The Cooks & Curds Gala is the culinary and social highlight of The Great Canadian Cheese Festival held annually in Picton, Ontario, in the heart of Prince Edward County. Eight leading chefs from across Canada use Canadian cheeses to create tasting dishes that are paired with Canadian wine, craft beer and cider. The strolling dinner on Saturday evening, June 2, concludes with an after-dinner cheese board presented by Dairy Farmers of Canada, sweets, sparkling wine, ice wine, port, coffee and tea. Top Chef Canada contestant Jimmy Stewart is the sous chef at the Bearfoot Bistro in Whistler, British Columbia. With strong beliefs in foraging and a love for Canadian products and ingredients, he is driven by modern Canadian cuisine. 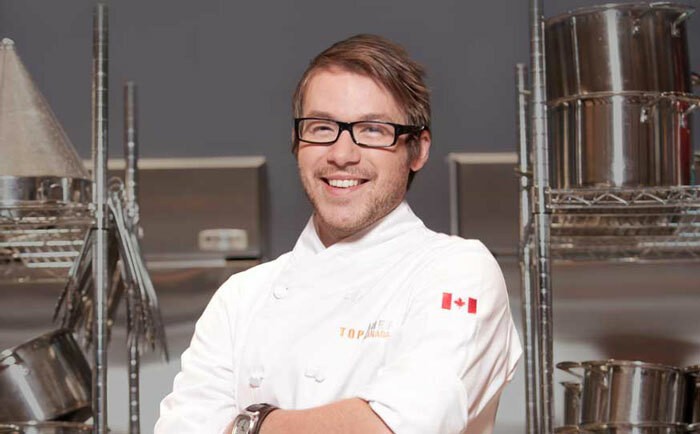 Top Chef Canada contestant Jimmy Stewart of Whistler, B.C. Classically trained in her grandmother’s kitchen, Talia Syrie’s nouveau Baba-style deli food combines the traditional Shtetl recipes of her people and the southern country cooking that she loves. Hailing from the North End of Winnipeg Talia’s intimate café, The Tallest Poppy, is loved by the community. For over three decades, Jamie Kennedy has been instrumental in shaping the culinary landscape in Canada. His innovative approach to gastronomy, commitment to sustainable agriculture and advocacy of local food have been unwavering. Chef Kennedy has applied the slow food philosophy in every aspect of his acclaimed restaurants and his flourishing catering business. His seasonal methods of cooking and involvement with the local food movement continue to inspire progress in agricultural and gastronomical communities across Canada. Born in Leicestershire, England, and raised in Montreal, Quebec, Chef Michael Blackie has been cooking for 25 years on three continents. Among his many career highlights, Chef Blackie held executive sous chef and acting chef positions at the prestigious and world-renowned Mandarin Oriental in Hong Kong. He joined the artistic leadership team at the National Arts Centre in Ottawa three years ago. 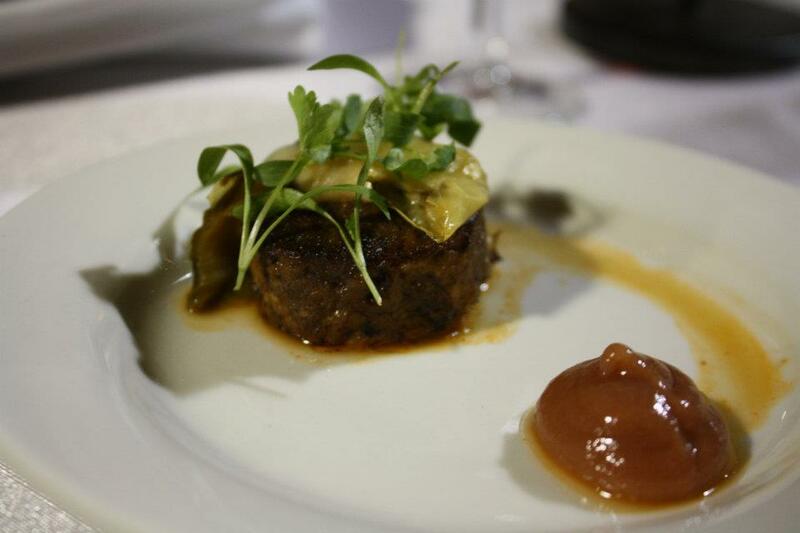 A unique feta and elk dish created by Chef Blackie expressly for The Great Canadian Cheese Festival was voted the most popular dish by close to 400 guests at the inaugural Cooks & Curds Gala in 2011. Originally from the U.K., Marc Cohen studied cooking at Leiths School of Food and Wine in London. After moving to Montreal, Marc quickly established himself on the city’s culinary scene running the kitchen at The Sparrow before opening Lawrence in 2010. 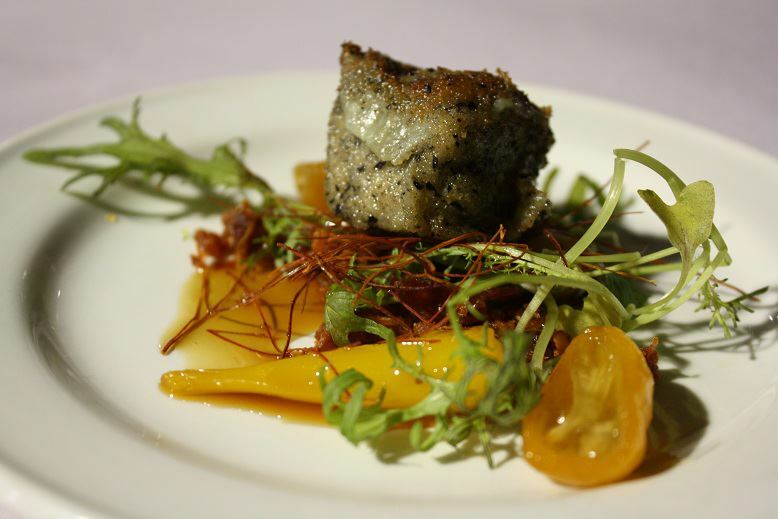 Chef Cohen emphasizes the use of sustainable products from local farmers, in-house butchery and nose-to-tail cooking. 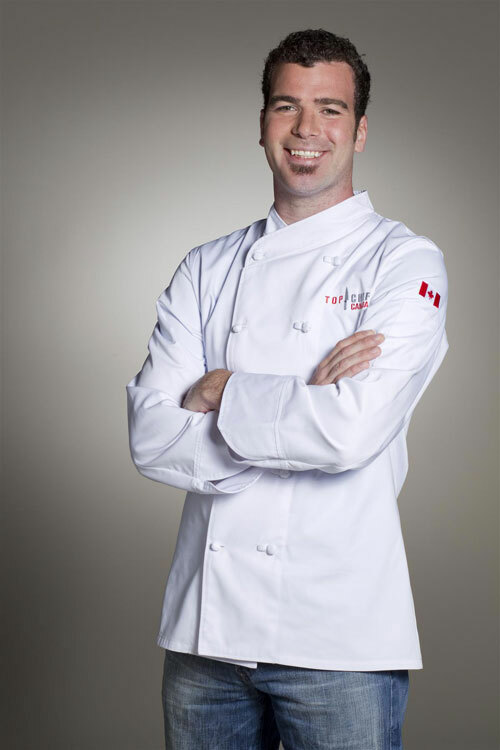 Top Chef Canada contestant Francois Gagnon of Montreal. Top Chef Canada contestant François Gagnon, a seasoned chef who has worked in top restaurants in Quebec, France and Vancouver, currently is private chef for Ædifica, a prestigious architectural firm in Montreal, where the design culture stimulates his use of color, texture, technique and flavours to produce visually and conceptually inspiring meals daily. Just before joining Ædifica in 2011, Chef Gagnon took part in the first season of Top Chef Canada on the Food Network, finishing in the top 5. In the future, he plans to partner in the opening of a gourmet sandwich shop in downtown Montreal. For more 20 years, the Inn At Bay Fortune has been serving its guests the best that Prince Edward Island has to offer. Chef Domenic Serio and Team Cuisine draw heavily on the Inn’s extensive herb and vegetable garden ensuring fresh and season driven cuisine. As well as working directly with local farmers, Chef Serio can be seen at the Charlottetown and Cardigan Farmers Market taking advantage of all the wonderful organic produce that is available. Together, this all adds up to a truly remarkable dining experience where guest get to enjoy Chef’s and his team’s passion for true farm-to-table cooking. The Bonavista Social Club, located in the small community of Upper Amherst Cove on the Bonavista Peninsula, harnesses the established farm gardens, animal husbandry and self-sufficient lifestyle at work in Upper Amherst Cove to provide a truly unique experience of rural Newfoundland. The restaurant is home to the only commercial wood-fired bread oven in Newfoundland and Labrador. The bread oven is the centrepiece of an open kitchen. The eight chefs have been selected and announced. Now starts the much-anticipated challenge for event organizers to match and pair the chefs and their ideas for tasting dishes with the most appropriate cheeses from the Canadian producers featured at the Festival. Karin Desveaux is the Festival’s executive director, Ivy Knight is chef co-ordinator and Jackie Armet is cheese co-ordinator. Menu details will be announced as soon they become available, with recommended wine pairings by David Lawrason. The Great Canadian Cheese Festival is produced by Cheese Lover Productions with the generous support of Celebrate Ontario. Dairy Farmers of Canada is Diamond Sponsor, Ontario’s Artisan Food and Beverage Region (FAB) is Gold Sponsor. A portion of Festival proceeds will benefit a Cheese Scholarship Fund to encourage young Canadians to pursue careers in cheese. Advance tickets are sold online at http://www.CheeseFestival.ca. In order to assure a high-quality experience for chefs and guests, Cheese Gala ticket sales will be limited, so don’t delay in ordering tickets by clicking here.